If high quality tiles in a wide variety of colours, pattern and style is what you are looking for then you are at the right place with Tiles and Bathrooms Cranleigh in Surrey. With a wide range of superb tiles to choose from you can truly personalise your bathroom or build complete bespoke sets to suit your needs and taste. At our showroom we have various tiles to explore including mosaic, ceramic and pebble tiles for both flooring solutions and walls. We understand that a bathroom is often a place for relaxing but also needs an element of freshness at the same time. To accomplish this tranquil atmosphere, we work with you to build your dream bathroom from top to bottom so that you can really sit back and relax. With our skills we can cater all services to meet your needs including mobility bathrooms and showers that exceed expectations. 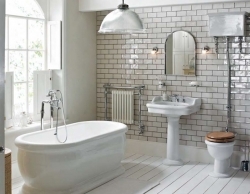 Get in touch by calling us on 01483 27 27 27 to hear about our affordable ranges and wide choice of tiles and bathrooms.